To anybody who has ever denied the beauty of a full-bodied woman, Jasjyot Singh Hans’ work will have you eating your words and reevaluating your pre-conceived notions about beauty standards. 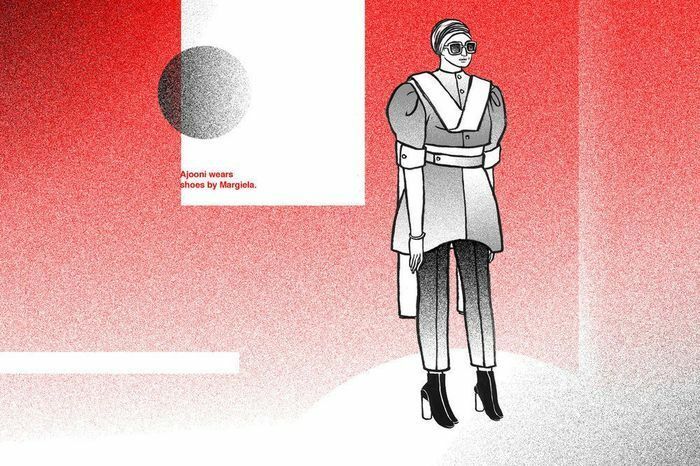 All of his work celebrates women at their natural, curvy best but his new zine, ‘Sikh Ladies In Sick Fashion’ combines this body positivity with his long-standing love affair with high fashion. After finishing his course in Animation Film Design at the National Institute of Design in Ahmedabad, Jasjyot began working at Sabyasachi Couture, a highly coveted dream job for hundreds across the country. It was his time spent at Sabyasachi that really opened his eyes to the reality of the fashion industry, providing insight into the inner workings of a big fashion house. His fascination with the industry has shaped a lot of his work and in this series he’s made it the star attraction. All the women featured have been inspired by the strong Sikh women he’s met over the years and the clothes they’re wearing are pieces that he loves or that have made him look at fashion in a new way. 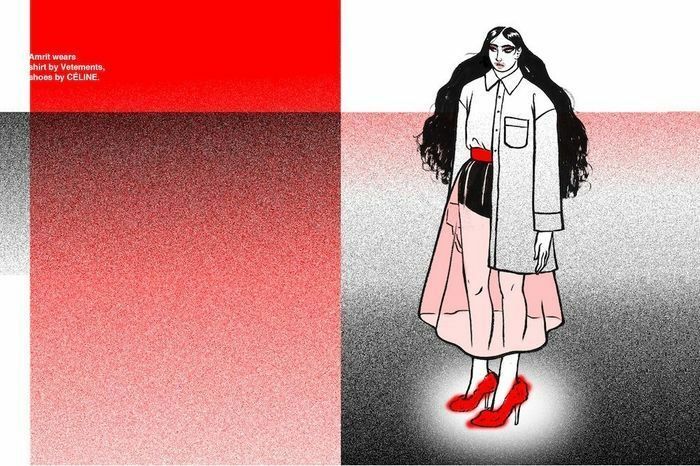 Each 20-page ‘zine is printed on a risograph - a machine that’s a sort of go-between of a conventional photocopier and a laser printer - and the scarlet and black stippling blends together to create striking monochromatic portraits. When we first saw them we needed to know more, so we caught up with Jasjyot to learn about his latest creation. Homegrown: What was the underlying though behind Sikh Ladies in Sikh Fashion? 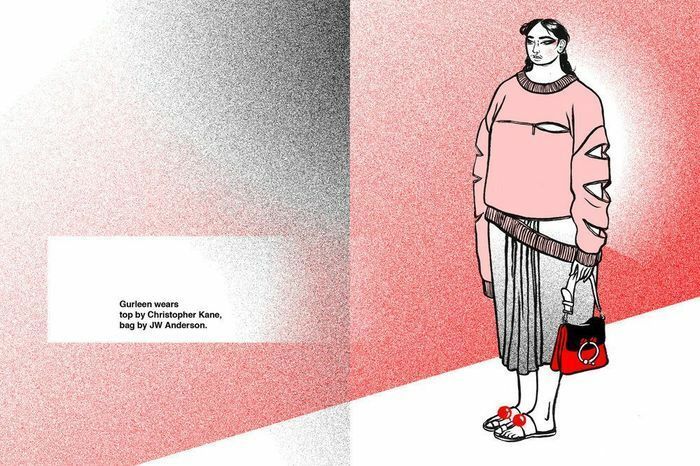 Jasjyot Singh Hans: I call this project ‘my humble love letter to fashion, the women I draw and the risograph.’ Apart from some Sikh street style blogs, there really isn’t much dialogue between Sikhs and contemporary fashion. I also like the idea of introducing more Sikhs in contemporary world culture, so more people become used to it. So this became my little way of opening that dialogue up, as well as paying tribute to Sikh women I know who share a penchant for fashion. HG: What role do feel fashion plays in your own personal expression? JSH: I’ve always loved following fashion, looking through new seasons and discovering new work. I find that it influences my illustration work deeply, because a lot of my work is around themes of body image. I do feel that clothing in general and how people clothe their bodies is intrinsically a part of their body image. 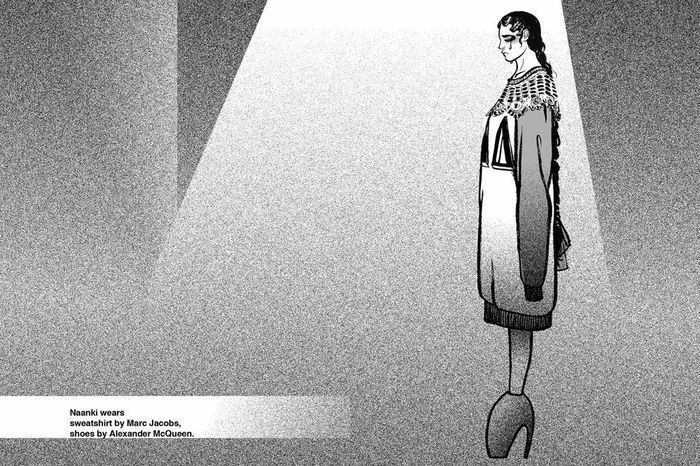 In the zine, I ended up using some of the designers I love, and ones that made me look at fashion in a different way. HG: As an artist, what was your favourite part of creating this series? JSH: I loved being able to put these varied clothes into outfits for the characters. In hindsight, I even had fun binding the zines. HG: Having lived in the West, what changes do you hope to see in attitudes towards Sikh culture? How do you believe these changes can be achieved? 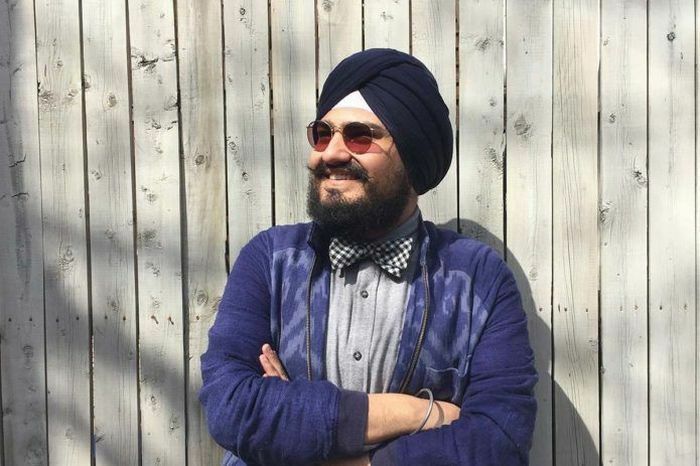 JSH: Since I moved from India, I became way more aware of the ignorance towards Sikhs. I find it difficult to navigate people’s false assumptions of where I, and Sikhs in general are from. I think it’s OK to not know, but it is toxic when they assume and feel like they need to be publicly hostile. There’s scope for dialogue, and that attitude shuts any scope for it. But at the same time I’ve also met some wonderful people, who surprise me with how much they know, or come to me with questions. But I don’t find it interesting to do anything directly educational about the faith, because many other people (and Google) can do that better. I want to normalise the presence of Sikhs in contemporary world culture. This is a conscious, yet small and humble beginning in that direction from my part. I feel like the change is achievable, and will take time, but we can start by making the creative community that surrounds us more aware. To buy your own copy of the ‘Sikh Ladies In Sikh Fashion’, click here. And check out his website to explore more of his work.